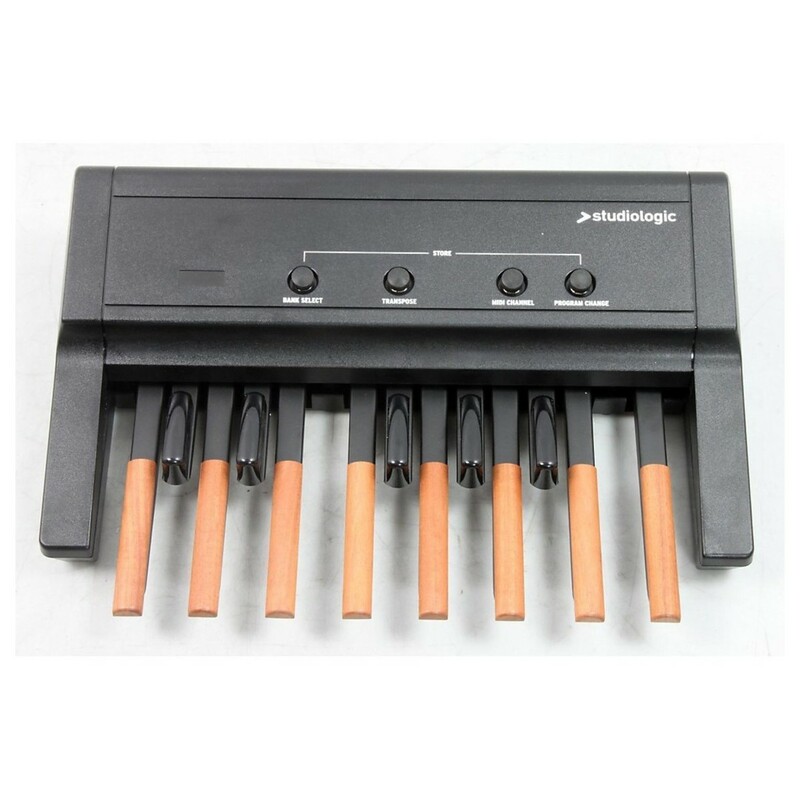 The perfect companion for your digital organ. The Studiologic MP-113 Midi Bass Pedal is a compact and robust MIDI pedalboard designed to be used as a hands-free controller. You control the MP-113 Bass Pedal with your feet, allowing you to play an instrument or perform vocal performances at the same time. It features 13 notes in total as well as giving you the the ability to transpose. Four large push buttons allow you to change settings such as for MIDI channel selection. The portable design is ideal for both studio and stage. 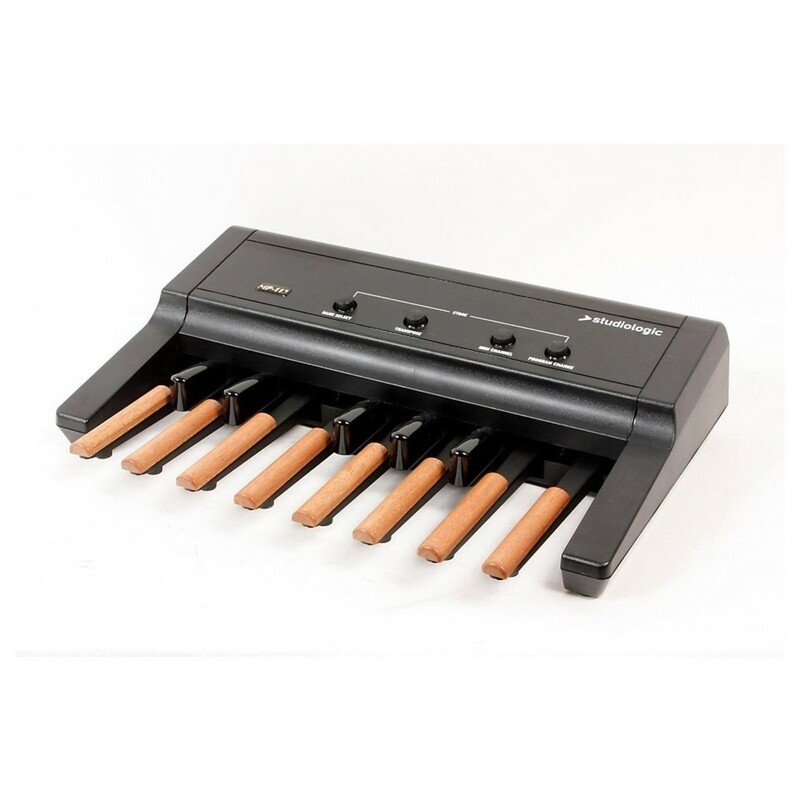 The MP-113 is the ideal companion for any digital organ or stage piano. Although its versatile design means it can be used for a variety of applications. The 13-note controller allows you to generate bass tones with your feet, freeing you to play an instrument such as an organ or guitar. The MIDI connectivity means you don’t have to just use a bass tone. You can use the controller to generate any MIDI tone you can find. You can use the pedal with virtual instruments, ideal for experimenting with sound. This allows you to control everything from bass tones to cutting-edge leads and pads. In addition to the 13-note keybed, the pedal feature 4 function push buttons. You can use the buttons to toggle settings such as Program Change, Bank Select, MIDI Channel and Transpose. The pedalboard is velocity-sensitive, allowing for more expressive playing.